Fads come and go, but the popularity of tattoos and piercings never fade. That’s because people choose to invest in these body adornments for a variety of reasons. 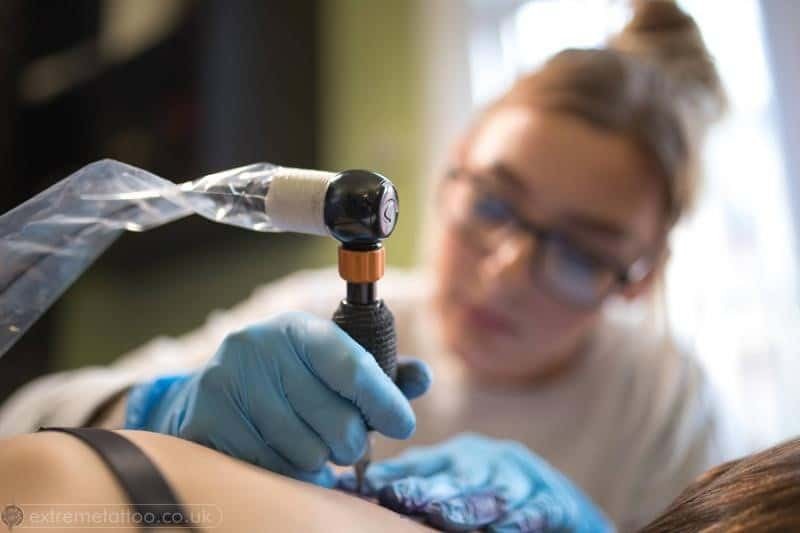 Have you been thinking about getting a tattoo or maybe having a piercing done? You’re not alone. Somewhere around the city, there is someone considering a particular design for a Tattoo Toronto or looking at rings for some sort of piercing. Here are a few of the reasons they’re looking. Themes for tattoos can cover just about any subject. That includes drawing on one’s personal or familial heritage for the design. You could choose to have your family coat of arms tattooed on an arm, a leg, your chest, or anywhere else you chose. It would serve as a reminder of where you came from every time you saw it. Spiritual traditions are another inspiration for tattoos or piercings. The tattoo could depict a scene that has great meaning in your tradition. The piercings allow you to wear jewelry that is shaped to resemble some symbol associated with your faith or belief system. One of the most popular reasons to get tattoos or piercings has to do with the love you feel for a partner. With tattoos, the design can serve as a symbol of something important to the two of you: the place you met, a common interest, or a simple design indicated deep love. It could include both of your names or just the name of the one you love. With piercings, it’s easy to inscribe jewelry with your names, a quote that has meaning for the two of you, or just go with a shape that both of you happen to like. One partner can choose to get a tattoo while the other gets a piercing that relates in some way. Both can get tattoos or piercings. They can even get both. Whatever the combination, the body ornamentation serves as a confirmation of the love the two people share. Tattoos and piercings can also serve as memorial to a person or pet that is no longer around. It’s not unusual for people to want tattoos that feature a parent, a deceased spouse or partner, or a child who has passed away. Some people choose tattoos to honor a pet they loved dearly. Far from bringing sadness, the body art conjures up fond memories. Piercings can also serve the same purpose. The jewelry chosen could actually be something that belonged to the loved one. It’s even possible to design jewelry using something like a metal part of a pet leash. As with the tattoos, the jewelry is a reminder of the bond shared and helps to keep the memory alive. Both forms of body ornamentation can proclaim identification with a group. They may have to do with a branch of the military, a craft or profession, or even a group that shares a common hobby. Whenever others see the tattoo or notice the jewelry worn with the piercing, they immediately understand that person has some connection with the group depicted. When you get right down to it, you don’t need any reason to get a tattoo or piercing other than the fact you want one. Some people just like the look or believe the body art will improve their appearance in some way. Remember that as long as you like it, the tattoo or piercing was a good idea. Are you ready to look into your options for tattoos or piercings? Visit a Toronto piercing shop that also offers tattoo services. You can go with a standard design or come up with one of your own. The right shop will have artists there who will be happy to help you settle on exactly what you want.